Dr. Tauhni T. Hunt is originally from Cherokee, Iowa, and began her practice with Siouxland Obstetrics & Gynecology, P.C., in 1996. She completed her undergraduate work at Buena Vista College in Storm Lake, Iowa, and received her Doctor of Medicine degree from the University of Iowa School of Medicine in Iowa City, Iowa. 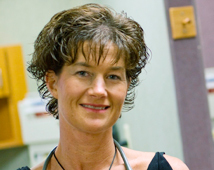 Dr. Hunt also completed her OB/GYN residency in Iowa City, at the University of Iowa Hospitals. Dr. Hunt and her husband, Michael, have two daughters and twin sons.